The MLDLCA is a new venture with seasoned leaders Jeff Musson and Deborah Lewis who had collaborated on some local high tech events in Toronto. Everything aligned for them to hold the launch event at SxSW. The challenge was they had only nascent presences on Twitter, Facebook and LinkedIn, along with a website. Their primary stakeholders are well known, but with a twist. Digital startup entrepreneurs, angels and venture capitalists fit hand in glove (no matter what they say about each other at times ;^); however, MLDLCA’s niche is bringing foreign investors and Canadian startups together to do cross-border deals. By definition, this requires a robust digital environment to provide continuous dialtone among global parties. Ultra-light diligence process to verify the MLDLCA team’s assumptions about stakeholders, focusing on major platforms, Twitter, Facebook, LinkedIn. It helped that this business is fairly transparent and straightforward. Launch a blog to be the cornerstone of their in-depth communications; blogging is widespread among leading Canadian and U.S. venture capitalists, a key stakeholder. Tweak existing presences to focus on stakeholders, focusing on Twitter. Use SNR’s templating toolset to provide guidance to volunteer tweeps and bloggers. Templates provide guidance and focus and are designed to enable team members to flow in and out of the team easily. Note that the presences are spinning up and adjusting in real-time, so unlike the usual case, which is planned and more controlled, we are iterating in fast cycles. Note this gels with their culture; it wouldn’t necessarily work in a corporate environment. 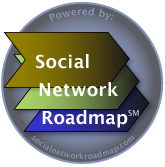 Those with very conservative cultures that rarely implement any initiative without a strategic planning process; they usually have held off on doing anything with socialtech (social media). Clients who have thrown up some presences that never produced yet keep draining investment, so client turns to strategy to sort out why. The Ecosystem Audit is an external view: it defines and analyzes the digital environment around the business, so we learn what the most relevant conversations among stakeholders are and where they are happening. The Readiness Assessment in an internal view: it defines and analyzes the company to determine what unique and sustainable value it can efficiently deliver to the ecosystem. In other words, how easily can we deliver this value to the ecosystem? In most cases, developing relationships takes time, so we prepare for a distance race rather than a sprint. We create the social business strategy by weaving the two together: it positions the company to focus on the unique value it can deliver, and it knows where within the ecosystem to focus the delivery; this includes holes in the ecosystem, which are opportunities for the company to create a presence; the strategy focuses the company on interoperating with its ecosystem to maximize the value it delivers—and efficiency. The social business strategy also recommends several pilots that have two goals: test unknowns in the strategy and develop the team’s social business competency. They begin the “execution” process. Although we are only a few weeks into it, initial results are promising for using the SNR for fast-start engagements, when the company’s risk tolerance is fairly high. The SNR’s templating toolset is very valuable to decentralized teams, and with volunteers, because it is very explicit about the intent, goals, general techniques and desired results for each Contributor type. This use-case can work especially well when the stakeholder relationships are either well known by the company or are transparent, as with VCs and digital entrepreneurs. Will return in subsequent posts to discuss other learnings. Read the news release for more information about the event and partnership.